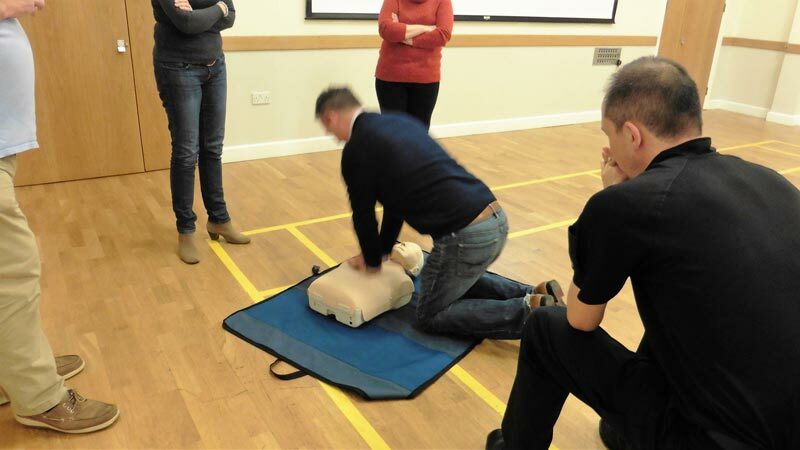 ​On Thursday, February 4th 2016, Kingsbridge Estuary Rotary club’s Heartstart group came to Thurlestone Parish Hall to teach 19 residents of East and West Buckland how to do CPR and use an AED, or automatic external defibrillator. 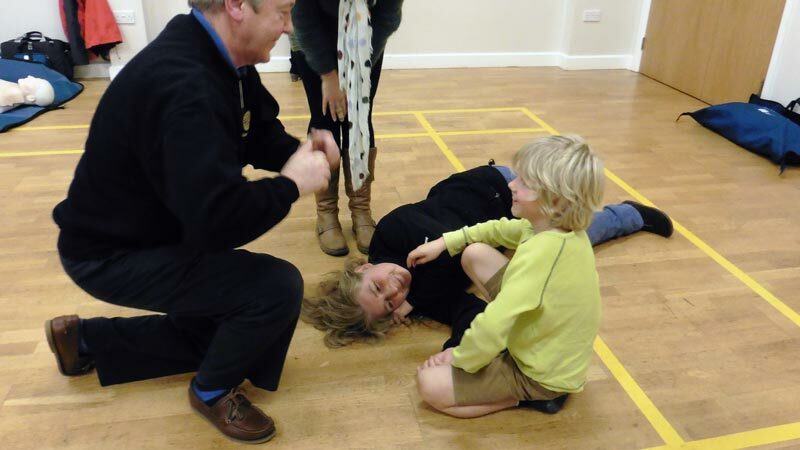 The Buckland Box is soon to have an AED and a cabinet in which to keep it, which have been granted to the Box by the British Heart Foundation. 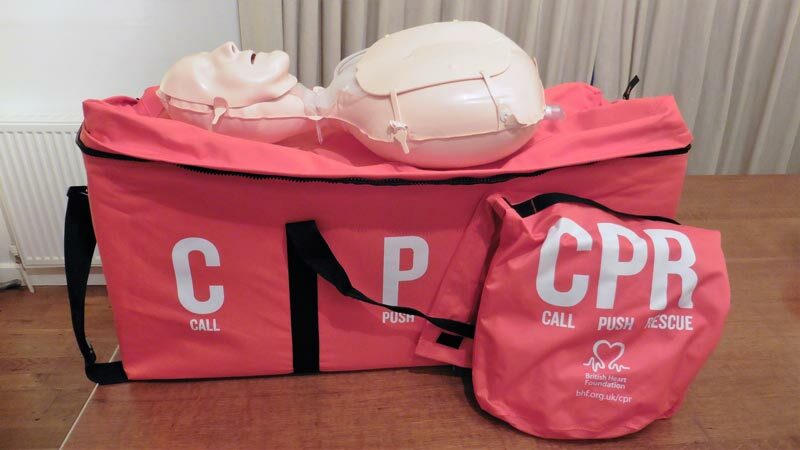 The BHF have also given Buckland teaching material in the form of inflatable mannequins and DVD’s which will be lent to those who want to learn, or revise, their resuscitation skills. Heartstart’s presentation was excellent, and everyone was able to have a chance to resuscitate a mannequin.The meeting was preceded by Dr Carl Gwinnutt, a member of the Heartstart group, but also the President of the Resuscitation Council(UK), being interviewed by a BBC news reporter, and demonstrating the use of an AED. The reason for the interview was that the BBC wish to highlight the problem of AEDs being stolen. There is no second hand market for AEDs and they contain no saleable components, so their theft is pointless, and their replacement expensive, and, worse still, could endanger lives.